Our Annual General Meeting will be held on Thursday 27th September at 7.30pm in Parish Room, St Edmund’s Church, Oxford road, Waterloo, L22 8QF. Come along and hear about our work in Sierra Leone and how your donations have supported the community in Waterloo, Sierra Leone. 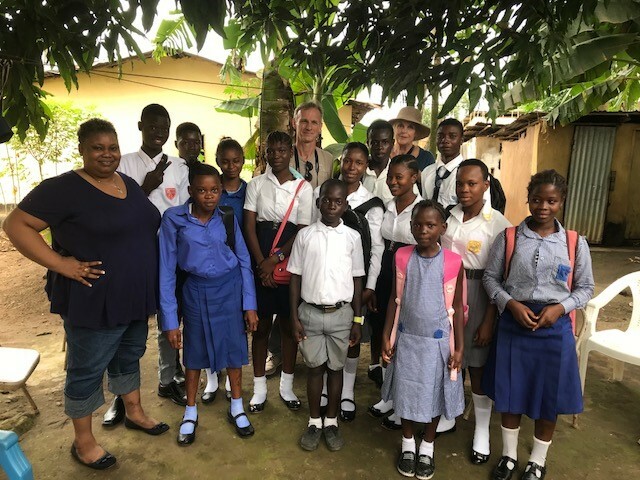 On 26th November last year a group of Waterloo Partnership trustees set off on the first full annual visit to Waterloo Sierra Leone since the disastrous Ebola outbreak. 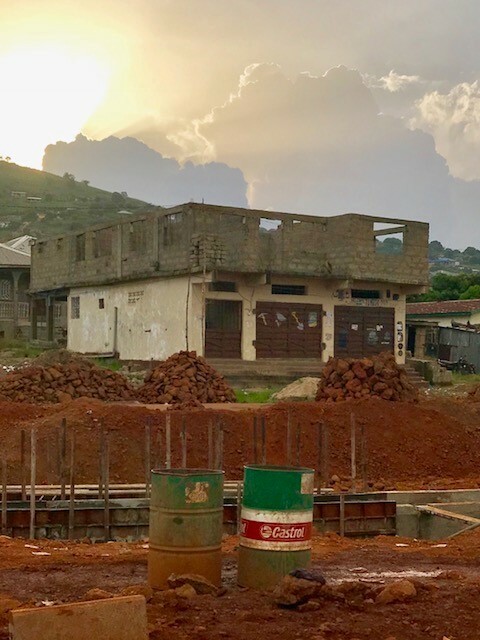 The purpose of the visit was to spend time with the members of the Waterloo Partnership Sierra Leone committee, especially the Chairman Alieu Badara Mansaray and his wife Aminata; to view the sites of many of the previously completed projects; and to explore the local community’s views as to how we could best assist them in the future. One of the group kept a careful log of the visit and her account can be found by Clicking here. By clicking the images they will exapand. 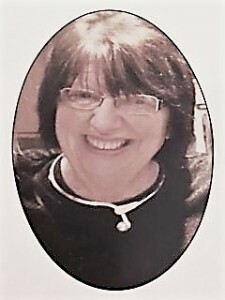 Waterloo Partnership UK would like to pay tribute to their recently deceased Chairperson, Sue Kendall. 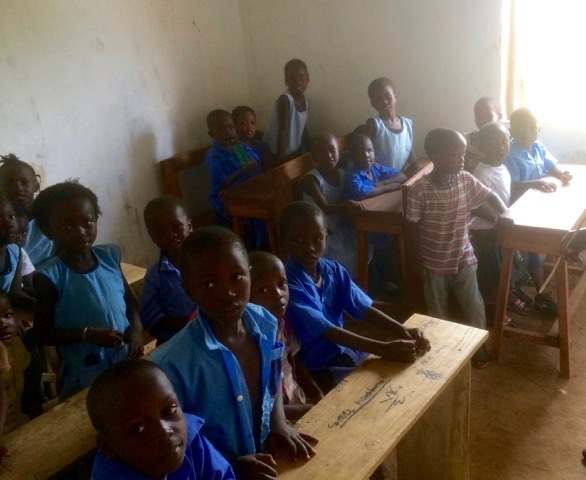 Sue had a long association with Waterloo, Sierra Leone as a teacher and as a member, trustee and chairperson of Waterloo Partnership. She worked tirelessly and enthusiastically, with a great sense of humour, fairness and diligence. She always listened, discussed and acted with wisdom and warmth and was a good friend to all who worked with her. As Chairperson, Sue’s professionalism and personality commanded respect and maintained stability, friendship and trust between ourselves and our partners in Sierra Leone. Despite having many other commitments in her life, Sue never forgot the difficulties many others have. 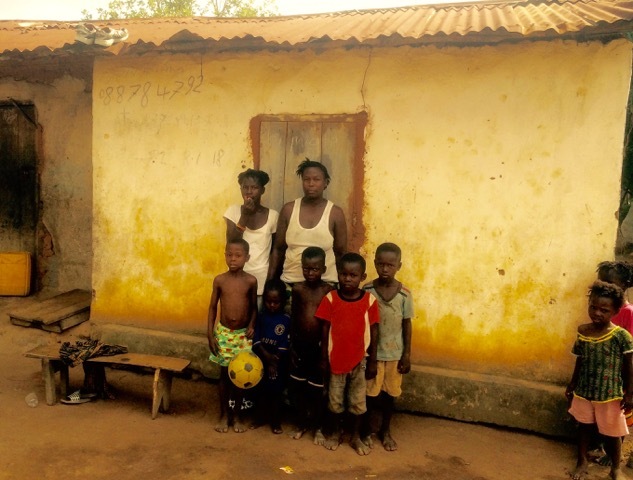 She wanted to do something to help the people of Waterloo, Sierra Leone and initially funded a well. That was just the beginning….. She maintained her devotion to others: giving her time, energy, friendship, cheerfulness and love. We would like to offer Sue’s family our condolences at their loss and thank them for Sue’s commitment to Waterloo Partnership. During her lifetime Sue touched many lives and, as a charity, we resolve to continue her altruism, love and dedication to the people of Sierra Leone. 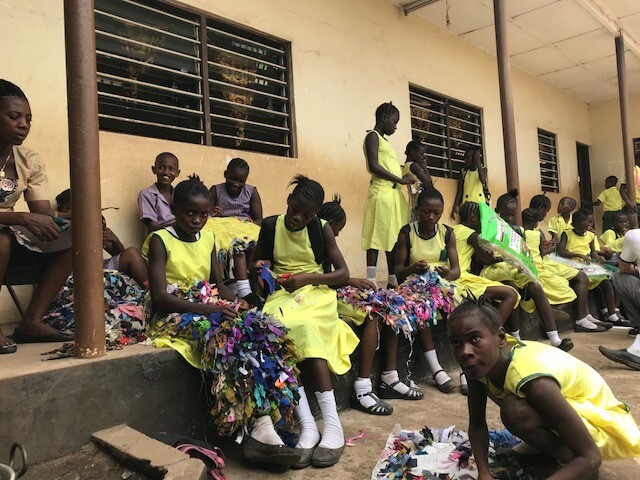 Please click the link below to download a copy of the order form and make a big difference to the lives of people in Waterloo, Sierra Leone. 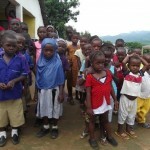 We have been working hard with our partners at the Waterloo Partnership in Sierra Leone. Click below to read about the various health, education and infrastructure projects that we have been working on. 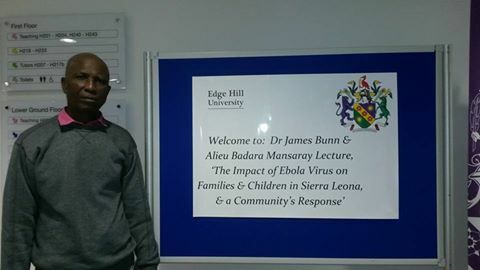 Our Chair in Sierra Leone, Mr Alieu Badara Mansaray sent the following message following our recent AGM. From Mr Mansaray’s letter it is heartening to hear of the impact of the Waterloo Partnership over the last 10 years. Many thanks to all our donors; past and present. 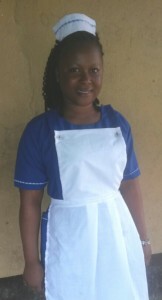 This is Francess Kamara, a first year nursing student at Redeemers School of Nursing in her newly supplied uniform. 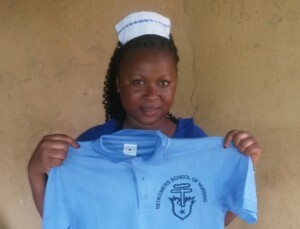 Frances has been funded by the Partnership with funds raised through Sacred Heart Catholic College, Crosby. Well done, Francess, we look forward to hearing about your future! Cynthia is in Waterloo. She has sat final state exams and is awaiting her results. If she succeeds she will attend a matriculation ceremony and will be given her license to practice her career. Betty is in her second year and is now attached to a special unit where she will be exposed to sight savers, dental, physical disability ,chest,ENT, and mental health. This will last about three months. This will be followed by more lectures and other activities. Frances is pursuing her preliminary introductory course which will be followed by exams between June and July. If she goes through she will have to switch over to the School of Nursing where Betty is attached. The reason is that COMMAHS will terminate the SECHN course and she can only continue her first year at Redeemer School of Nursing. 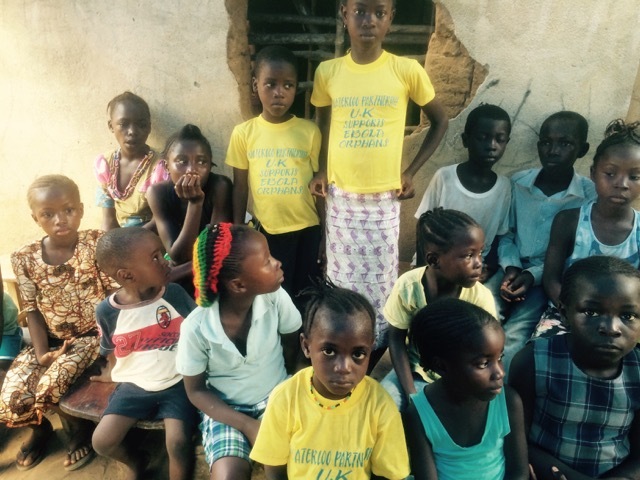 Our sponsorship of the 45 Ebola care givers has continued. 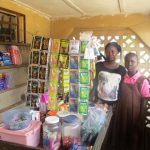 The care givers who provide support and care for children orphaned by the Ebola Crisis in 2015 are pictured receiving their latest micro-finance payments from the Partnership. Following the most successful Christmas Praise Proms Concert which raised £300 for the Waterloo Partnership, we received this lovely letter from Mr. Artey Williams. Thank you Artey for organising such a wonderful occasion. Click here to see the letter from Crosby United Reformed Church. Please come along and support The Christmas and Praise Proms at Crosby United Reformed Church on Sunday 11th of December at 3pm. There is no charge but you will be able to make a donation. All proceeds will kindly be donated to our work in Sierra Leone. 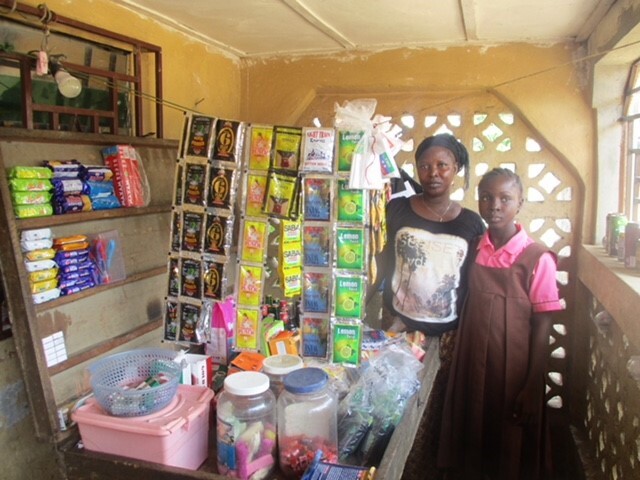 Our Christmas Gift Scheme makes a real difference to their lives of the community of Waterloo, Sierra Leone. You will be able to purchase gifts for a friend or loved one. 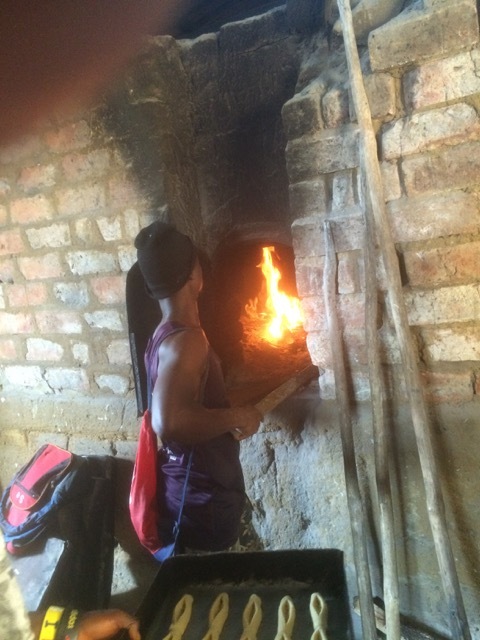 You can choose from : Care for Orphans, Farming, Education, Health and Clean Water. Click Here to access information and an order form to purchase gifts that last a lifetime. Click here to access the latest Newsletter from the Waterloo Partnership. 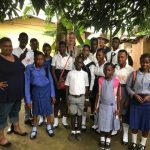 When we knew that the Chair of the Waterloo Partnership Sierra Leone was coming over to England we approached Liverpool Football Club to see if they would kindly donate any items for the people of Waterloo Sierra Leone. On Tuesday 25th October 2016, members of Waterloo Partnership were delighted to attend the Roscoe Lecture, at St George’s Hall Liverpool, where representatives from the 38 schools, who contributed to the Ebola emergency fund, were awarded Good Citizenship certificates. Click Here to learn more. 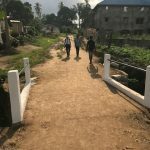 During the last year the Partnership has been working to ensure that current projects and those that have occurred as a result of the Ebola Crisis have been funded and effectivley monitored. 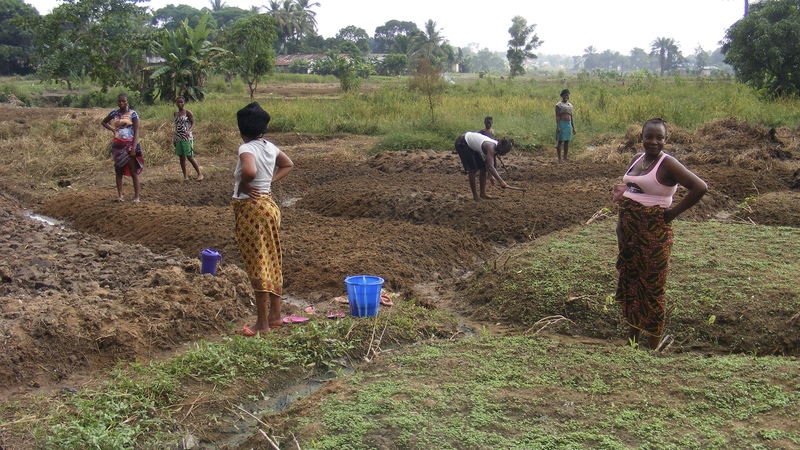 Click here to see a list of the projects funded for Education, Farming, Infrastructure and the Ebola Crisis. 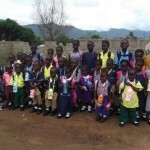 The images below some of the Ebola Orphans before and after being kitted out for their respective schools. 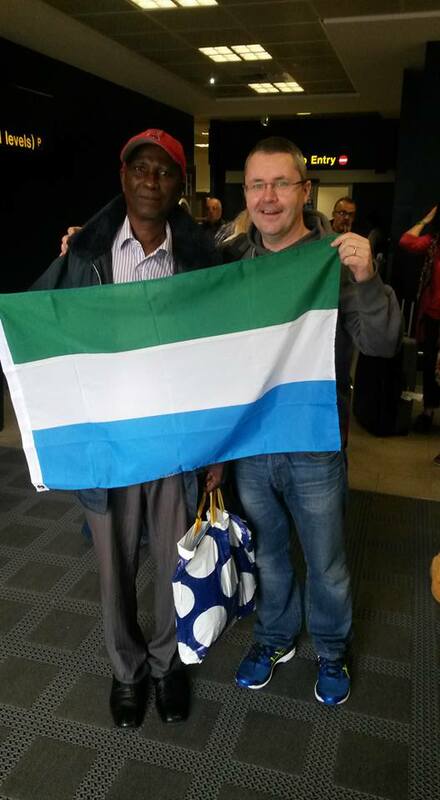 This week the Waterloo Partnership have been hosting our Chair from Sierra Leone. 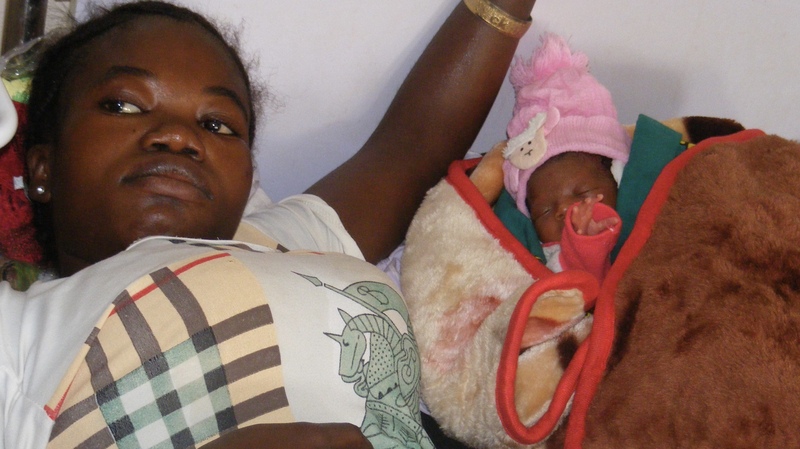 Mr Mansaray has been vital in the operation of the charity since its creation. He was also instrumental in helping the Partnership in delivering aid to the community in Waterloo during the Ebola Crisis. 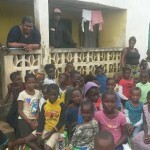 Mr Mansaray is also responsible for the ongoing support of those children orphaned by Ebola who are looked after by the Partnership. We have been pretty quiet on the website recently but there has been lots going on in the background so we would like to update you to all that has been happening….. The Waterloo Partnership has been fortunate to have had two generous donations following inspiring musical events held in April and May 2016. 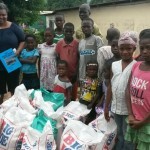 We have just completed the distribution of food items to the orphans at Benguema and Monkey Bush. As usual there was a lot of excitement and happiness during the supplies.The distribution was timely as it coincided with the heavy rains and height of the hungry season. 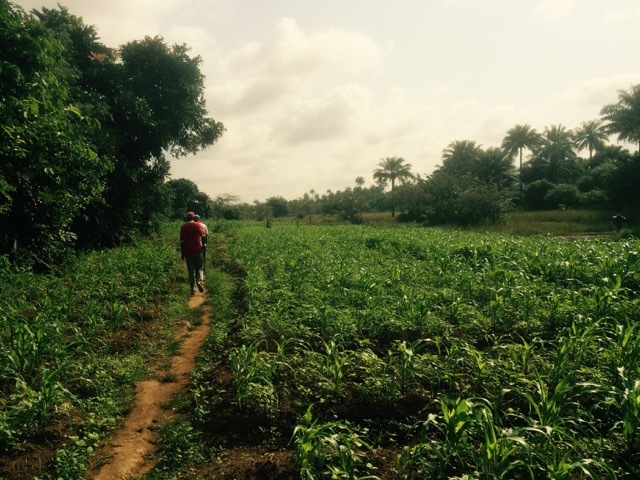 In November 2015, Prof. David Lloyd, the Chair of the Waterloo Partnership made a visit to Waterloo, Sierra Leone to meet those affected by the Ebola Virus and to see how the funds had been spent during the crisis, as well as reviewing the projects we support. 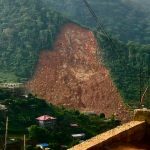 You can read a detailed account of his visit by clicking here and below you can see some of the many photos that he took during the trip. Click on an image to expand and view the gallery. Orphans at the meeting with guardians at Monkey Bush. A Monkey Bush family, including 3 orphans, and their home. 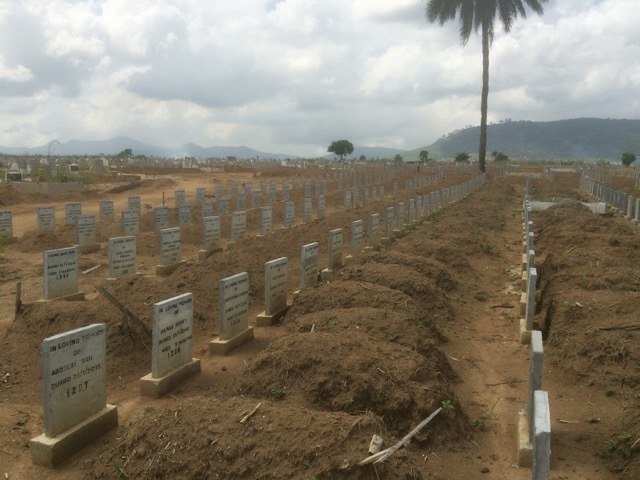 Ebola cemetery: section for children under 5 years of age. It is the time of year for our Christmas Gift Scheme Appeal. Click here to download the form. Monday 12th of October marks the 1st anniversary of the death of our colleague, brother, uncle, DSO, Community Health Officer, formerly in charge Waterloo CHC, the late James Jimmy Jajua. A moment of prayer will be observed at the Waterloo Community Health Clinic at 2pm on Monday and this will be followed by a memorial service on 18th of October at the GTZ HALL Waterloo. 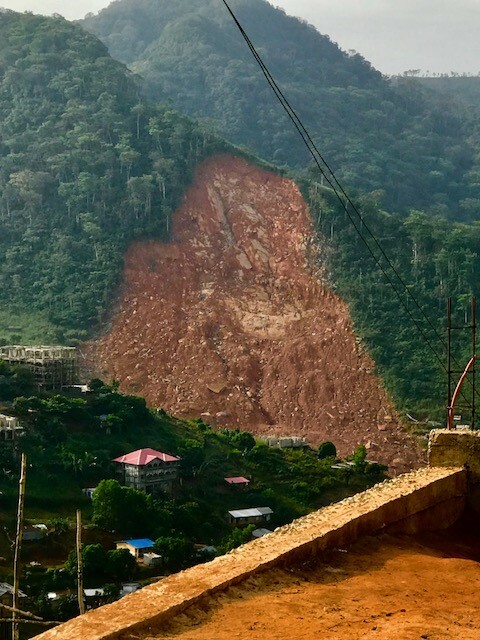 David Lloyd, Waterloo Partnership’s chair, tells BBC Radio Merseysde’s Helen Jones about the charity’s latest work in Waterloo, Sierra Leone. Click to listen. 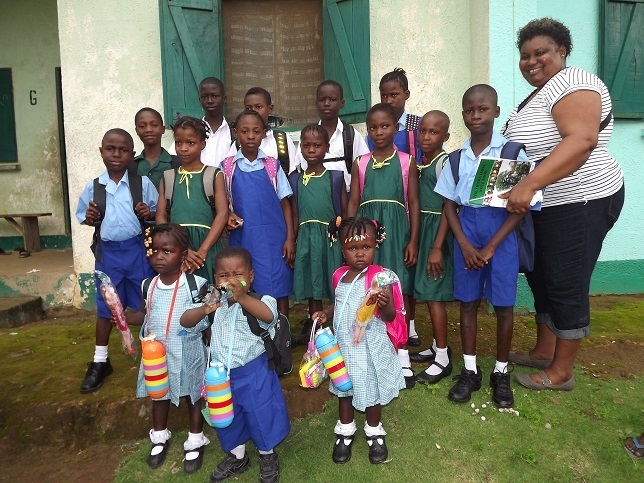 Here is a photo of the some of the children orphaned by the Ebola Virus, who through your donations have been placed with carers and now have a place at school and a uniform and learning materials! The are photographed with Mrs Aminata Mansaray who organises the project for the Waterloo Partnership. 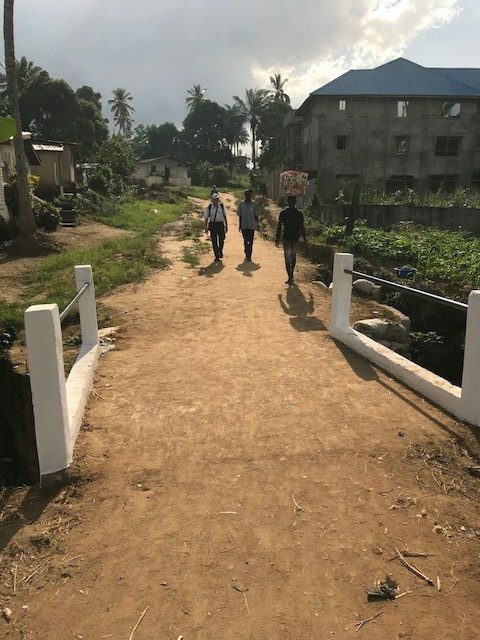 Thanks to the huge generosity of so many people and organisations in Waterloo, Crosby and beyond, The Waterloo Partnership is continuing to support a variety of post-Ebola projects. Our Trustees recently approved expenditure of over £12,000, mostly targeted at vulnerable children and their care-givers. 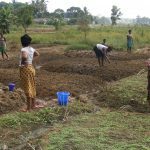 The sum will provide hand hygiene, food aid, education, school equipment, seeds for farming, and support for children’s guardians. 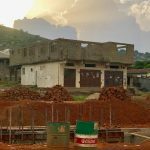 ‘Le We Tap Ebola’, Krio for ‘Let’s Stop Ebola!’ is the latest health slogan in Sierra Leone and thankfully it seems to be working. 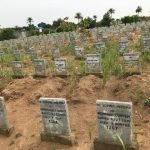 It’s been an agonisingly long sixteen months since the Ebola virus first reached Sierra Leone’s northern border with Guinea, spreading rapidly and causing havoc to families and to the country. 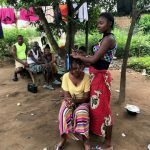 Waterloo had its first cases at the end of August and became an Ebola ‘hotspot’: there were about 150 cases by the middle of October, with 84 burials in one week. We lost count at the peak of the epidemic in November, when there were about 600 cases per week nationally. 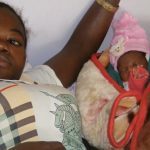 We were very sad last month to learn about the sudden death of one of the 30 Ebola orphans whom the Waterloo Partnership has been supporting in the wake of the epidemic. The child who died was just one year old. 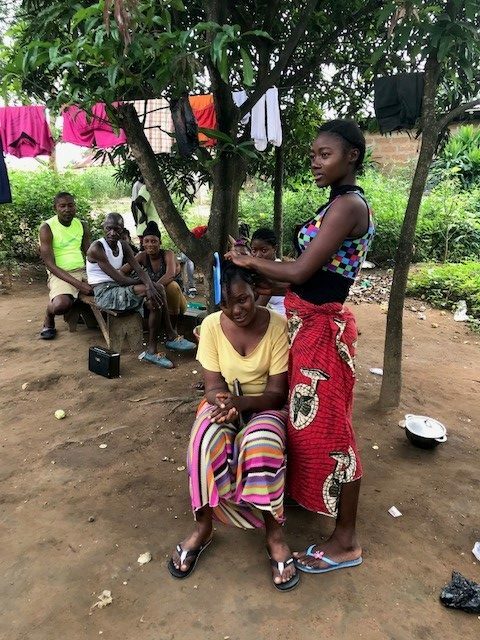 Little Fatmata Sesay, who had already lost her family to Ebola, ‘just developed a fever overnight and died early in the morning’, Chair of the Waterloo Partnership, Sierra Leone, Mr Alieu Mansaray told us. 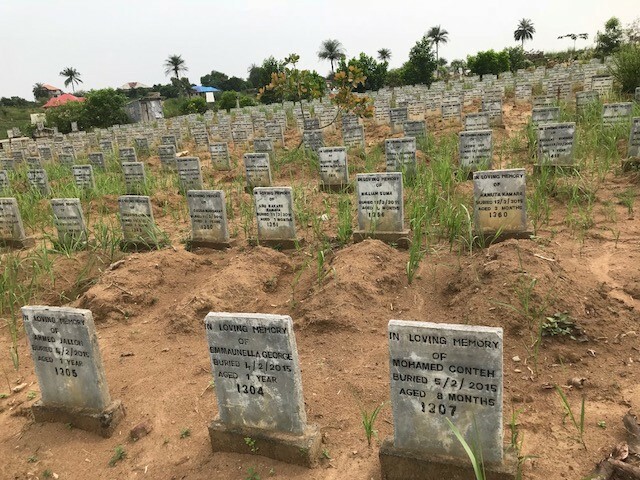 ‘She was buried by the Red Crross team at Jopoh Farm cemetery, where everyone, even from Freetown, are currently being buried. We extended your condolences to the lady caregiver. Whenever we deliver food supplies she will start crying, as she remembers Fatmata’.